SORRY NOW SOLD. MORE REQUIRED. 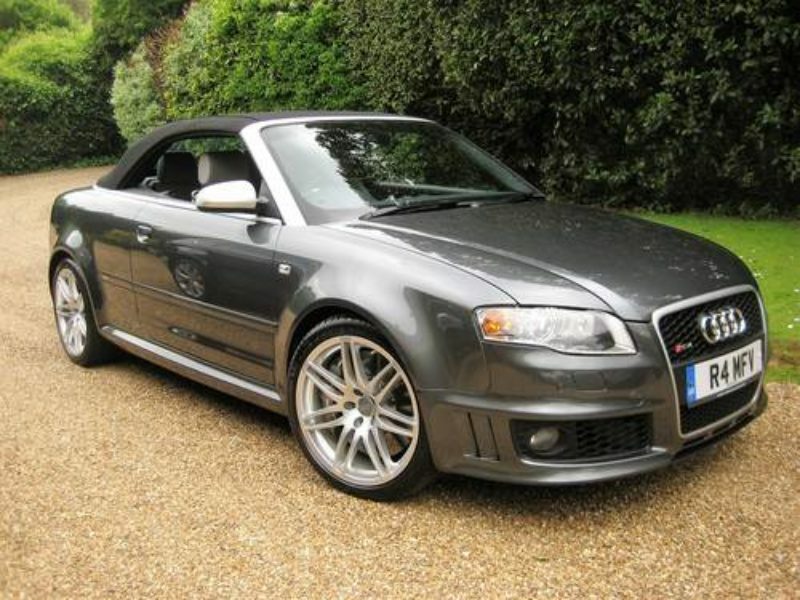 JUST 18,000 MILES FROM NEW & ONLY 1 P/OWNER + SERVICED ONLY 100 MILES AGO BY AUDI MAIN AGENT. Finished in Daytona Grey Pearl Effect with full silk white Nappa Leather embossed with RS4 logo & black contrasting piping + carbon fibre inlays. 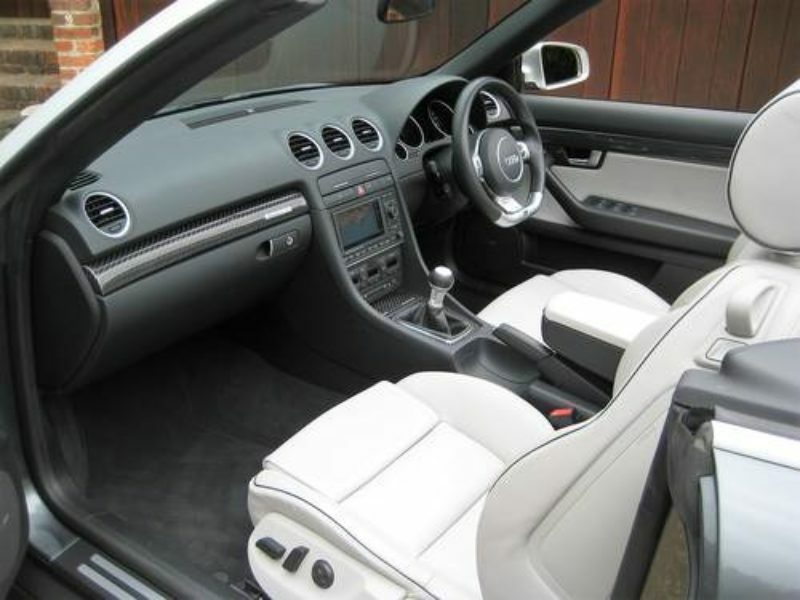 Specification includes AUDI CERAMIC BRAKES with ceramic logo (very rare £4,235 option),TECHNOLOGY PACK with Audi Satellite Navigation System Plus, 6 disc CD autochanger & adaptive Xenon Plus headlights with daytime running lights, BOSE sound system, electric front recaro sports seats with electric lumbar supports, heated seats, front centre armrest, 3-spoke sports multi function flat bottom leather steering wheel, leather & aluminium gear knob, acoustic parking system front & rear,19″ double spoke alloys with Michelin Pilot sport tyres, fitted Audi Carpet Mats etc. 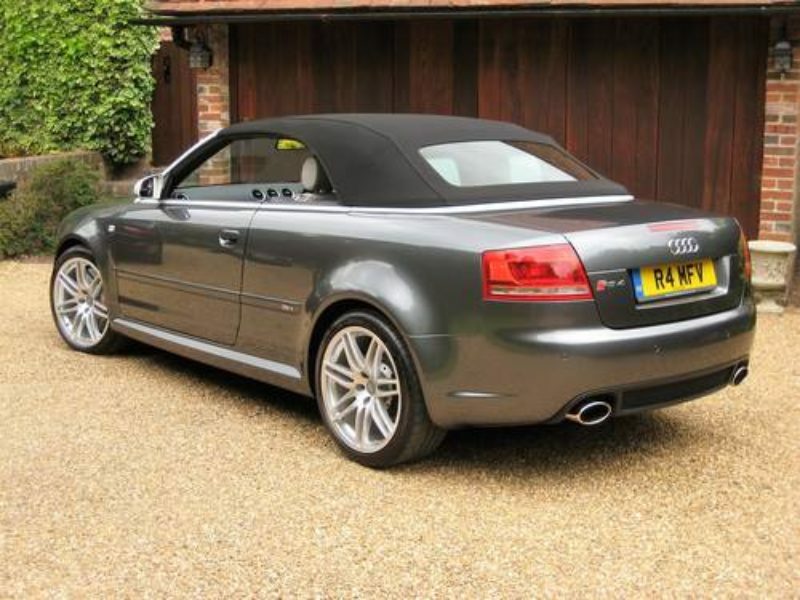 Supplied new by Stafford Audi with full Audi main agent service history by Stafford & Eastbourne Audi (5 stamps in the book). 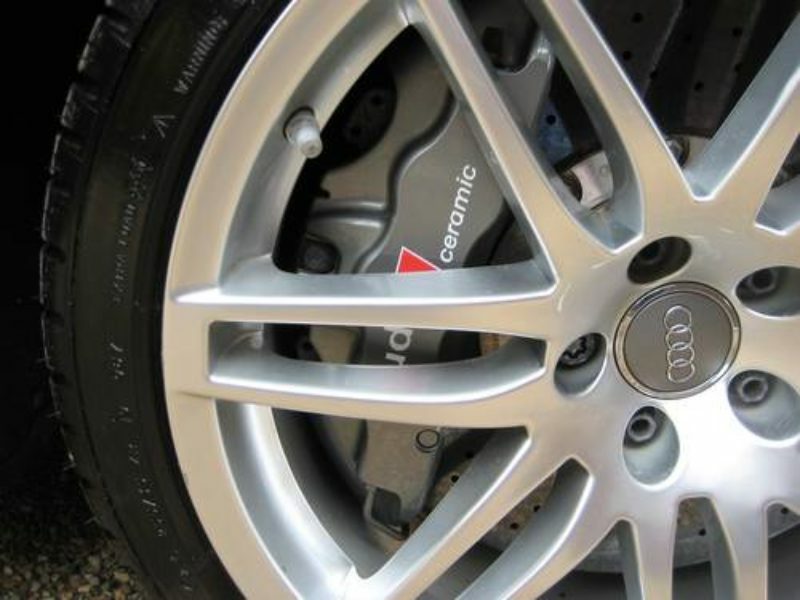 Last service was only 100 miles ago by Audi. Complete with documented history file including original purchase invoice + original sales brochure, owners book pack + all 3 keys. 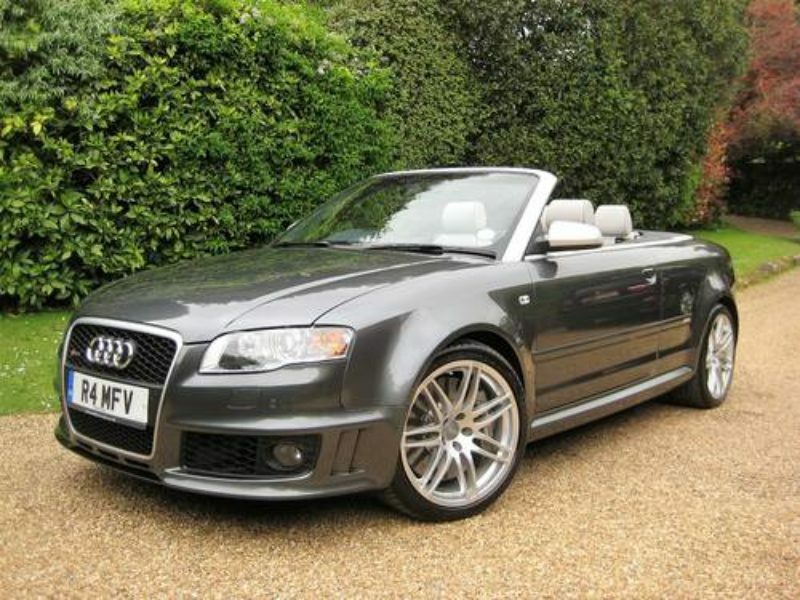 The RS4 Cabriolet when new was the most expensive of all 3 versions being £8k more than the Avant & £9k more than the saloon! 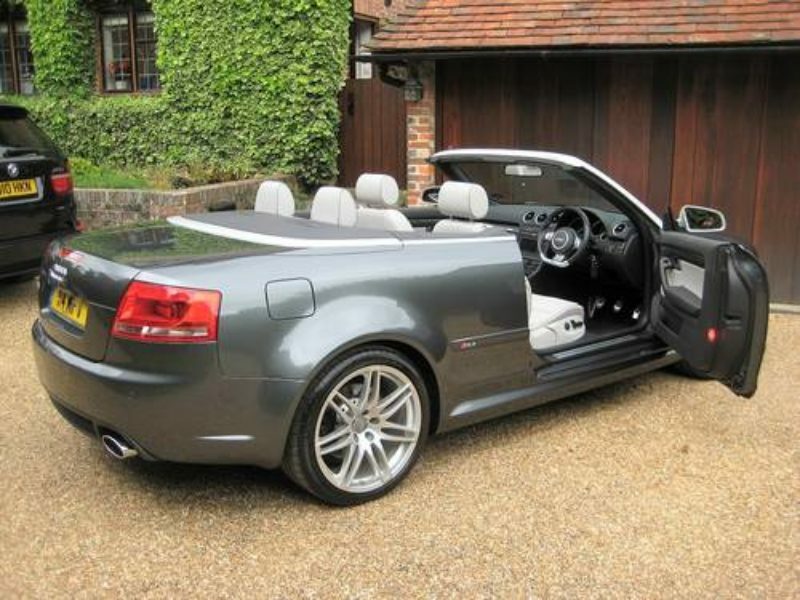 THIS IS AN ABSOLUTELY STUNNING LOOKING VERY LOW MILEAGE EXAMPLE KEPT IN TOTALLY ORIGINAL PERFECT CONDITION THROUGHTOUT.